We manufacures parts for Smart energy meters like Brass Terminal, Brass Inserts, Brass Contact as per drawing and specification. - Widely used to be installed in taps. Certified manufacturer of Energy Meter OEM Turned Components, Brass Terminals & Connectors, Fuse Connectors & Terminals. Material : Brass, Copper & Aluminium. - Broadly used in electrical switching circuits and cabinets. Approx 500 Rs to 1000 rs per kg. These energy meter parts manufactured by us are manufactured keeping the durability and precision factors under concern. We manufacture energy meter parts by using high quality raw material and are available in different specifications. While manufacturing these energy meter parts, we make every effort for the maximum reliability of the material used, accuracy and precision. 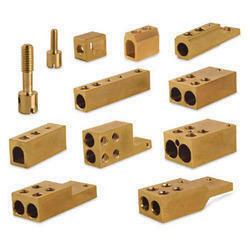 Any special brass material compositions as per customer’s requirement. ISO metric, MM, PG, BSW, BSP, BSB, BSF, BA, NPT, NPTF, UNC, UNF, UNEF etc. Any threads as per customers design. Since based advance technology, we are involved in offering a wide assortment of Meter Part. 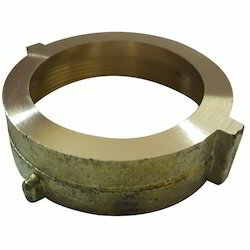 This Meter Part is manufactured using quality material and metal. Our talented team of professionals designs this Meter Part as per the requirements of the patrons. We are specialized manufacturer of brass water meter bodies. The heavier Water Meter Bodies are manufactured in sand casting and machined on CNC machines. The casing are pressure tested for leakages etc.